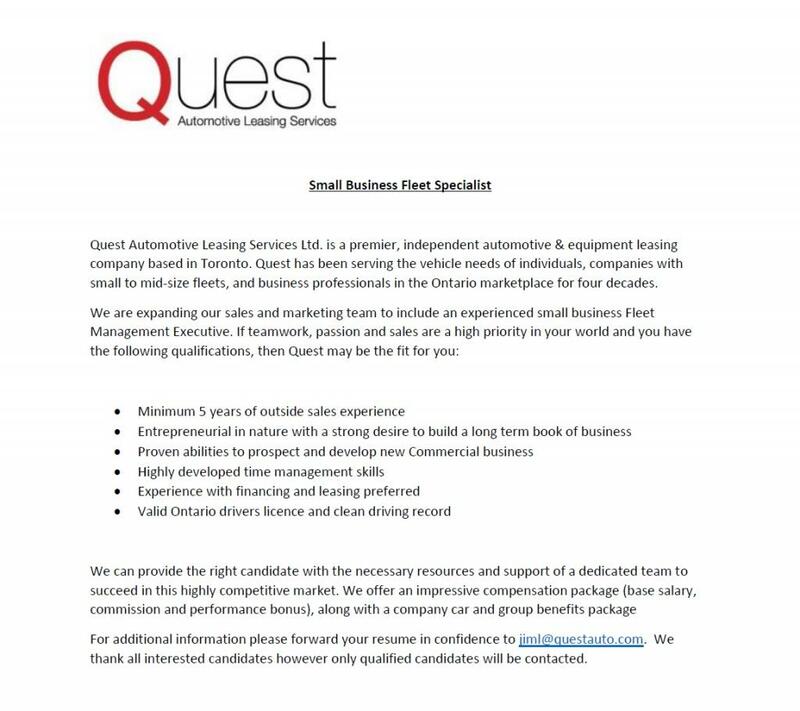 For more than 40 years, Quest Automotive Leasing has been committed to offering flexible, convenient vehicle and equipment leasing services across Canada. We are your destination for personal and commercial equipment leasing in the GTA. We are always looking to expand our dedicated team. Explore our current job openings below and submit your resumé. We look forward to hearing from you.